Rather than spending time configuring and coding, consider Rebrandly as the Yourls alternative. Yourls is an acceptable URL shortening solution if you have the time, resources and the patience to host and maintain your own redirect and tracking software. Yourls is not effective or reliable for very important or scalable projects unless you invest a great amount of money in a team of engineers and a great cluster of servers. Yourls must be installed on your own servers. It is not a SaaS where everything is provided, like with Rebrandly. In the era of the cloud, AWS, Azure, and Heroku, you can access great platforms that do all of this management for you. If your URL shortening project includes an investment or it is very sensitive, Consider Rebrandly as the Yourls alternative. On top of the building and maintenance of Yourls, it also does not include link retargeting, a UTM builder, advanced account management, traffic routing, or custom reporting, just to name a few. Rebrandly offers all of these features to our users, through an easy to use and fast to set up service. Rebrandly is the leader in link branding. 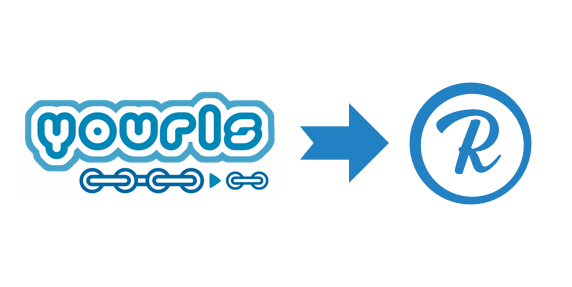 We offer the most complete and reliable link management platform on the market. Rebrandly's solution provides the easiest way to create, measure, and manage short URLs with a custom domain name. Don’t just shorten your links, build a branding strategy around them. We’ll help you get better engagement, track your success and make the most out of each and every link your organization shares. Get the benefits of an advanced product, though a simple and clear interface. Watch why link management is beneficial to your business, no matter the industry or size.